Second bit of a news is a fun one. I’m so excited to say that my husband and I are expecting our first child! I’ve nicknamed the little lime-sized baby “Muffin” for now. Life is wild. Onto this pretty pound cake! Since the holiday season is officially upon us, it’s time to think about sweet treats that travel well, and please crowds. 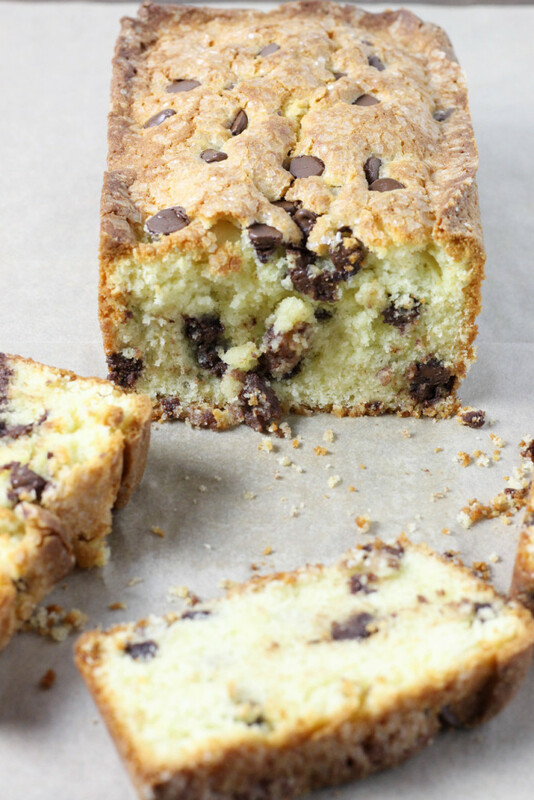 This chocolate chip pound cake is perfect for any such an occasion. 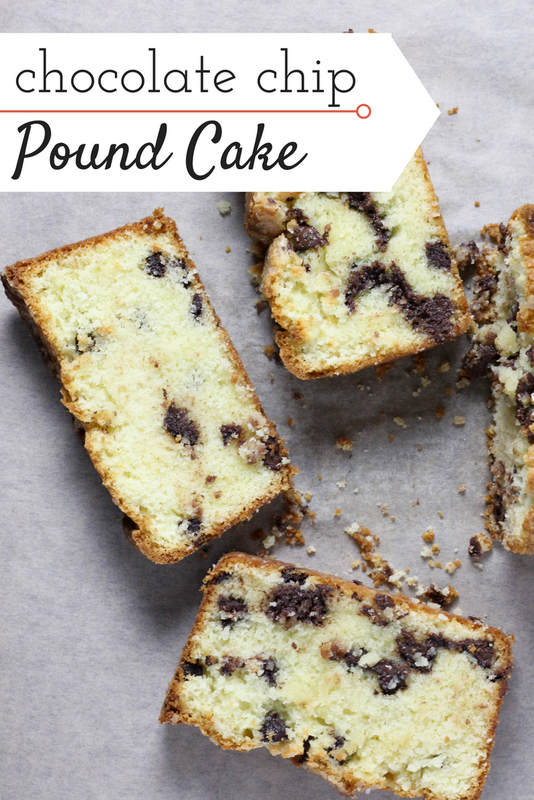 I love pound cake because it stands alone- you don’t need to make frosting or cream or anything to go with it, although if you’re feeling up to whipped cream, go for it. 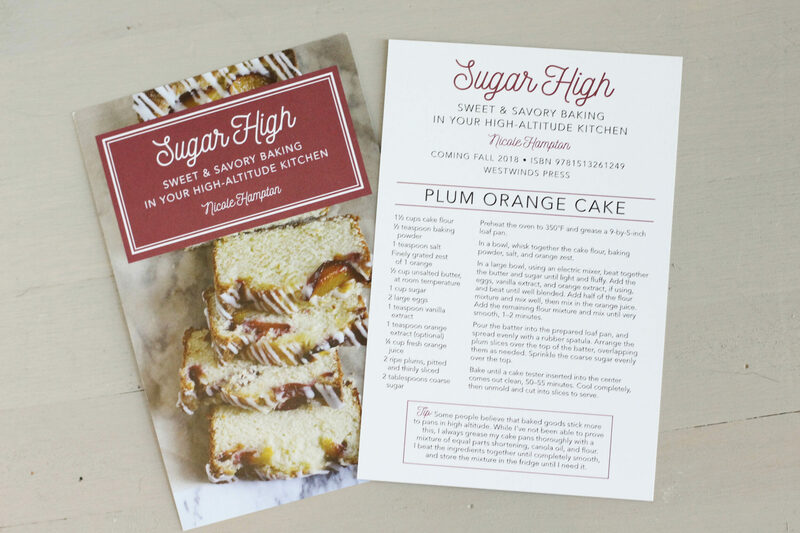 It’s just lightly sweet, very dense, and provides us with a perfect little snack anytime. Or a breakfast. Yes, I eat cake for breakfast, it’s fine. This is a classic recipe, and you can find my bundt cake version over here. 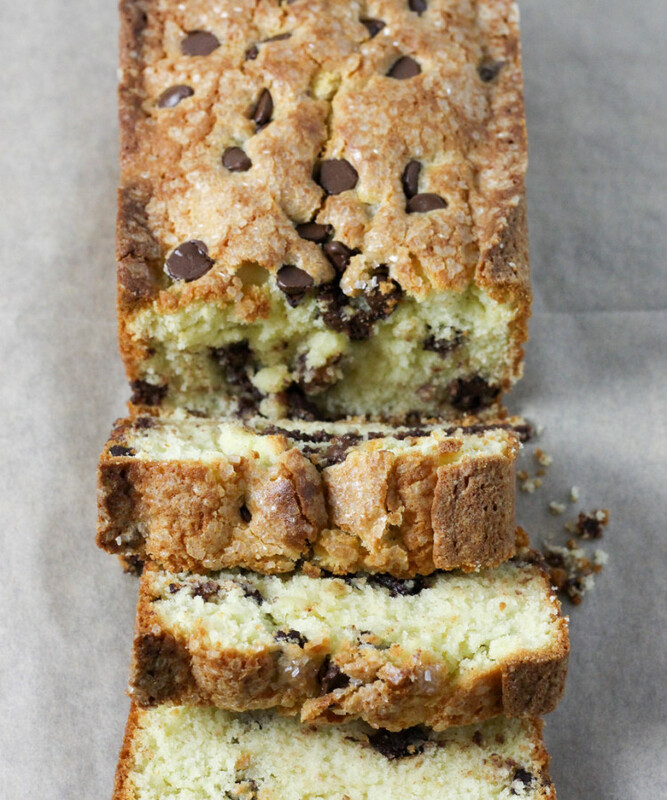 I’ve made this one in the form of a single loaf- a bit less cake overall, and the addition of chocolate chips gives it just the right twist. 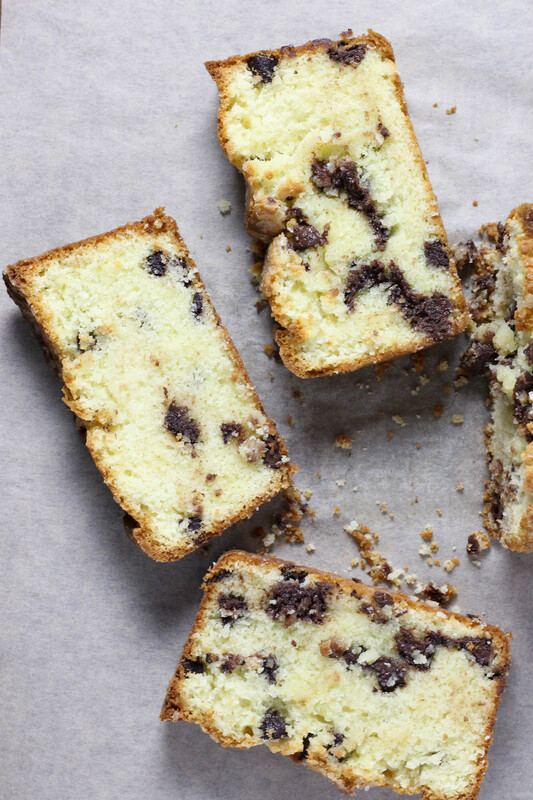 You can actually alter this recipe in so many yummy ways. For example, top it with sliced fruit before baking, or fill it with berries, or lemon zest and juice. Whichever way you make it, it’s still going to have that perfect tightly-knit crumb that you’ll keep coming back to. I hope you’re starting off your holiday season brightly this year! Personally, I’m one of those Christmas fanatics that starts listening to Christmas music on November 1st, and shopping later that day. However you prefer it though, treat yoself with something sweet all season! 1 1/2 cups flour + 2 tbs. In a medium bowl, whisk together the 1 1/2 cups flour, baking powder, and salt. Set aside. In a large bowl, beat together the butter and sugar until combined. Beat in the eggs and vanilla. 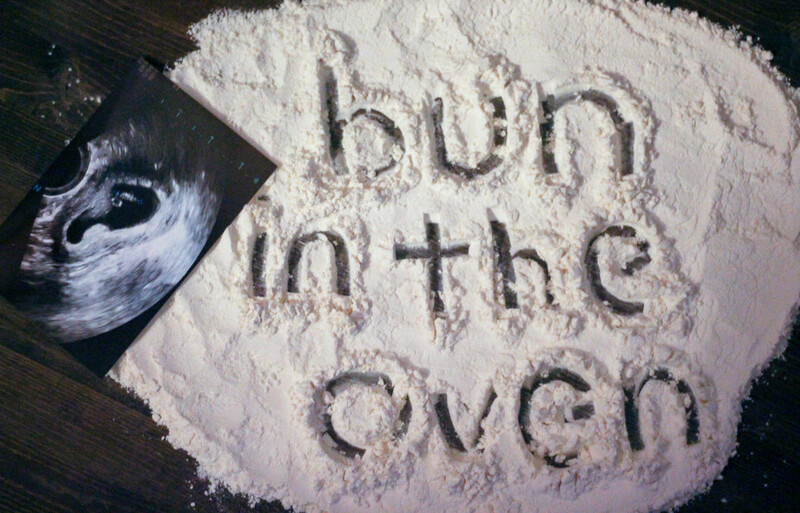 Add in about half of the flour mixture, and beat until combined. Then add the milk, mixing until smooth, and finish with the last half of flour. In a small bowl, toss the extra 2 tbs. 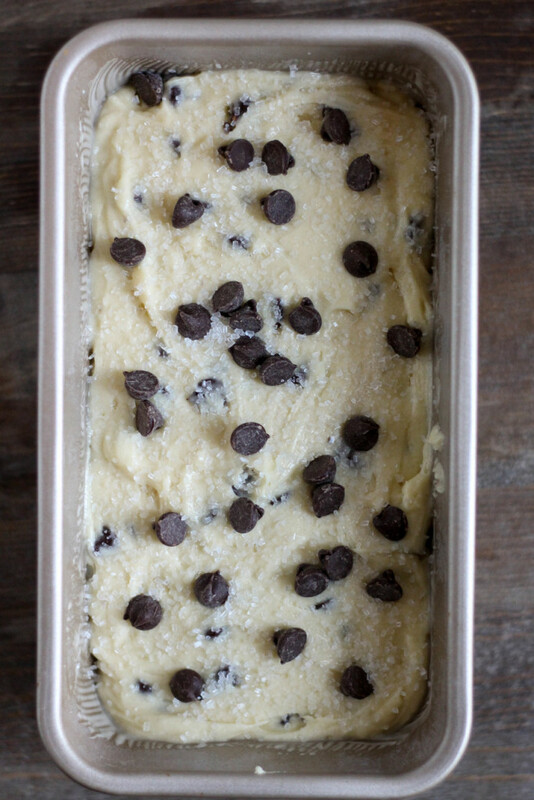 of flour with your chocolate chips until coated, and pour the entire contents into your cake batter. Fold in. Pour the batter into your prepared pan and spread evenly. Sprinkle the top with extra chocolate chips and coarse sugar. Bake at 350 degrees for 50-55 minutes, or until toothpick comes out clean. Cool completely, and enjoy! My husband and I were joking about how every time we cook something from the internet it never looks like the picture of the recipe. 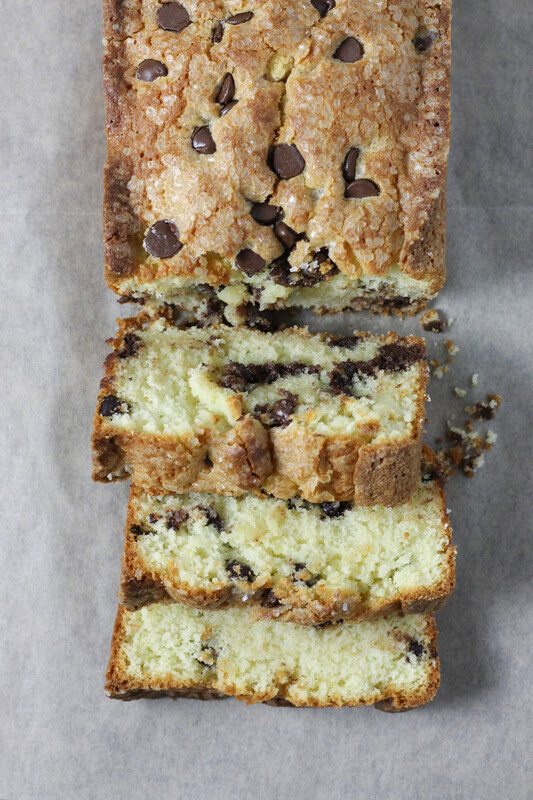 Well, I just made your chocolate chip pound cake and it looks EXACTLY like the picture. Beautiful, looks delicious. Can’t wait til it cools…..
Nice! I'm so glad to hear it! It's a great tasting cake too- you guys are in for a treat!! Hi Susan! I used an 8 inch pan here! I made this last night in my Wilton 9×5 loaf pan and it turned out great! Thanks for the recipe! That's great to hear!! Thank you for swingin' by!! Are there any modifications that I should make to the recipe since I do not live in a high altitude area? I am in North Carolina. Thanks!! Hi Brenda! Gotcha, I usually find that in dryer cakes, if I'm wanting a bit more moisture in it, I can add a couple of tablespoons of sour cream to the batter and it gives it just enough!